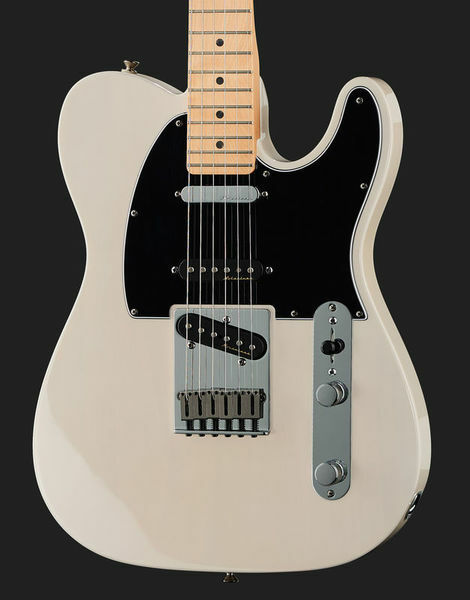 Straight from the studios of Music Row in the home of country music—Nashville, TN—comes the Deluxe Nashville Tele, a tonally versatile performer with a unique (for a Tele) three-pickup design. A distinctive entry into the Fender family, this Tele growls, snaps and screams with flexible tone that can match any song. With its original Fender style, customized switching and fast, smooth playing feel, this Tele is ready to command any stage from the local honky-tonk to the Grand Ol’ Opry. Two noise-free, highly articulate Vintage Noiseless™ Tele pickups inhabit the neck and bridge positions, flanking the Vintage Noiseless Strat pickup in the middle to create an unbeatable trio. These pickups crank out rich, articulate tone, with the balanced string response, definition and twang you’ve come to expect from a genuine Fender instrument. Flexible five-way Strat-o-Tone pickup switching unlocks various pickup combinations, providing the perfect sound for any performance. 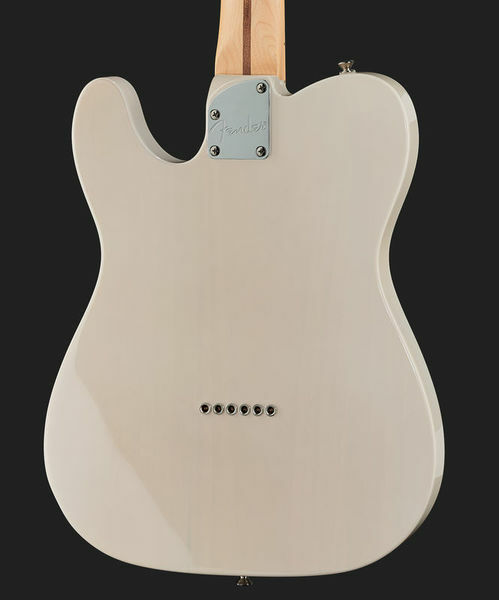 Enjoy increased sustain and slightly thicker tone that complements the famous Tele twang, thanks to the modern six-saddle string-through-body bridge with block saddles. 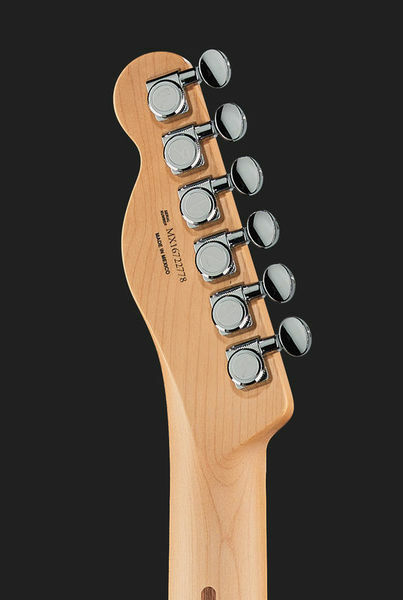 A contoured neck heel and 4-bolt asymmetrical neck plate make it easy to comfortably reach the upper registers of the neck. 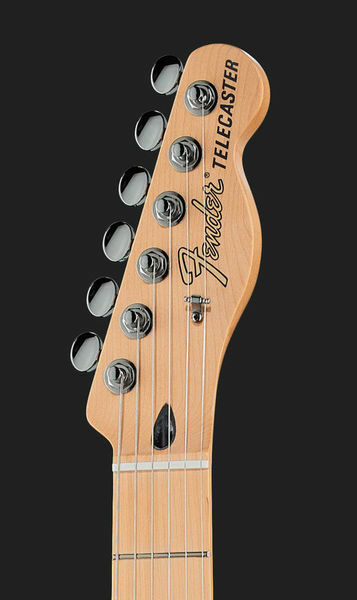 The flatter 12”-radius fingerboard makes it easy to play fast leads and perform deep bends without fretting out. Locking tuning machines provide enhanced tuning stability, along with quicker string changes. The alder body bears a highly durable gloss polyurethane finish that will easily stand up to hard playing, keeping the instrument like new for years to come. Classic aesthetic touches include nickel/chrome hardware and a three-ply B/W/B or mint green pickguard, along with knurled flat-top control knobs and a black switch tip. 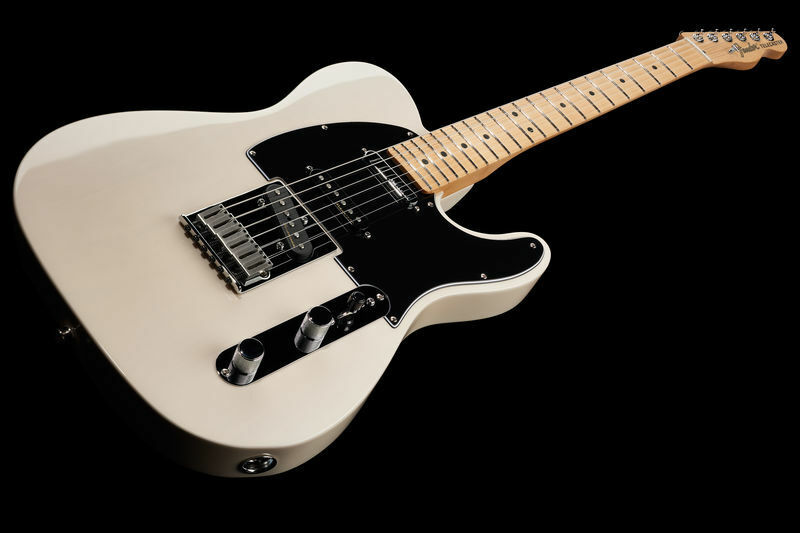 A truly versatile performer with flexible sound, player-oriented features and original aesthetics, the Deluxe Nashville Tele merges the best of yesterday and today into a single, affordable design.